It was very clear that EVERYONE was serious about safety. 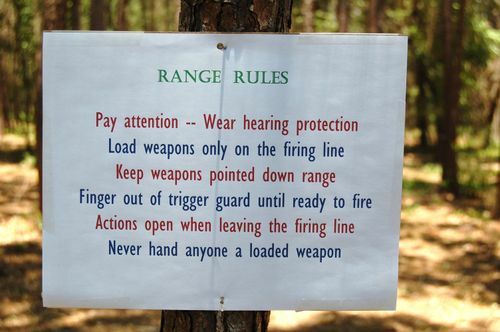 Larry maintains a very safety conscious range, and the fact that John Echoff is a certified Firearms Instructor left no room for careless accidents. Those of us who are not usually comfortable around such fire power took great comfort in their precautionary measures.